If you have a website or blog, you certainly need to know the important SEO terms. SEO (Search Engine Optimization) is the soul of blogging if you want to get success with your blog. Search Engines drives organic traffic in a long run and is reliable. If your blog is appearing in the top search results of Search Engine (Google, Yahoo, Bing, Ask) then it will catch the eye of visitors and will help in promoting blog. (Think if you search anything, you just check only first page of the search results. If your result is not found, you try with some other keyword instead of going to the next pages.) But Search Engine Optimization is the long process and it requires patience. It is not an instant process but an ongoing activity. If you are a new blogger, improve your SEO vocabulary and knowledge with following important SEO terms and SEO search words. SERP stands for Search Engine Results Page. SERP is the listing of results returned by a search engine in response to a keyword query. The results normally include a list of items with titles, a reference to the full version, and a short description showing where the keywords have matched content within the page. A SERP may refer to a single page of links returned, or to the set of all links returned for a search query. Backlinks are the relationship amongst pages on the Internet. Backlinks describe the links coming into a web page or document. Root domain backlinks describe links coming into your root domain (e.g. CatchUpdates.com). The thumb rule is – Quality is better than quantity. It is better to have few backlinks from high reputed websites rather than having high numbers of backlinks from same or below average websites. 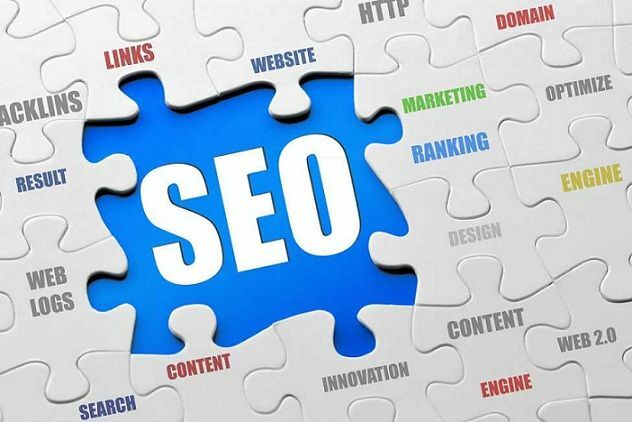 Backlinks are one of important SEO terms because they affect directly the PageRank of any web page, influencing its search rankings. PageRank is an algorithm used by Google Search to rank websites in their search engine. PageRank works by counting the number and quality of links to a page to determine a rough estimate of how important the website is. The underlying assumption is that more important websites are likely to receive more links from other websites. Canonicalization is a process for converting data that has more than one possible representation into a “standard” canonical representation. A canonical URL, therefore, is the standard URL for accessing a specific page within your website. For instance, the canonical version of your domain might be http://www.yourdomain.com instead of http://yourdomain.com. Domain authority, developed by Moz, is a metric that describes how search engines rank you based on your authority or credibility on the web. Domain authority tells the power of a domain name. The Domain Authority is a score based on a scale of 100, the higher your rating, the better. You might have noticed your competitor websites are ranking higher even though they have less information or content. This is because of Domain Authority of their blogs. The Keyword is the main set of words for which you are writing your article. Keyword density denotes how many times the keyword is used as per your article length. Ideally, keyword density should be 1% – 2% for better SEO. Tip: Consider including your keyword in your Title, URL, and meta tags. As mentioned earlier, keyword density is an important factor on search algorithms. Some blogger used to insert keyword multiple times without any actual need. This is called keyword stuffing. It badly impacts your SEO and blog. The title tag is the title of a web page. Ideally, title tag should be unique and contain the main keywords of your page. You can see the title tag of any web page on top of the browser while navigating it. Title tag (<title>) is inside the HEAD tag. Meta tags are used to give search engines more information regarding the content of your pages. The meta tags are placed inside the HEAD section of your HTML code and thus are not visible to human visitors. Search Engine crawlers do not understand images. They can understand only text. To get your blog images better optimized, you should use ALT tag. Alt tag should be relevant to your image. For instance, if you are writing an article on Blogging tips and inserting an image then it should have a relevant name not something like image.jpg or image01.png etc. 301 direct is one of important SEO terms. It is used when you delete any page or change any URL and when users search and open that page it shows ’404 – Page Not Found’ error. To avoid such errors and to pass on any ranking authority from retired pages, it is best practice to use a 301 redirect. 301 redirects will redirect users and search engines from the old URL to another active page that you specify. Inserting additional keywords or tags in the same background color so it is not shown to human but to the spiders and bots. Also Read: Should You Also Do Cloaking? A link farm is a group of websites where every website links to every other website, with the purpose of artificially increasing the PageRank of all the sites in the farm. They are considered as spamming technique and thus can get you penalized. The Google sandbox refers to a commonly held belief that Google has a filter that places all new websites under restrictions for a certain amount of time to prevent them from ranking in searches. The idea behind the Google sandbox is that newer websites are not as relevant as older sites, and they are also more likely to be spam. For this reason, they are restricted and allowed to mature before being allowed to rank well. 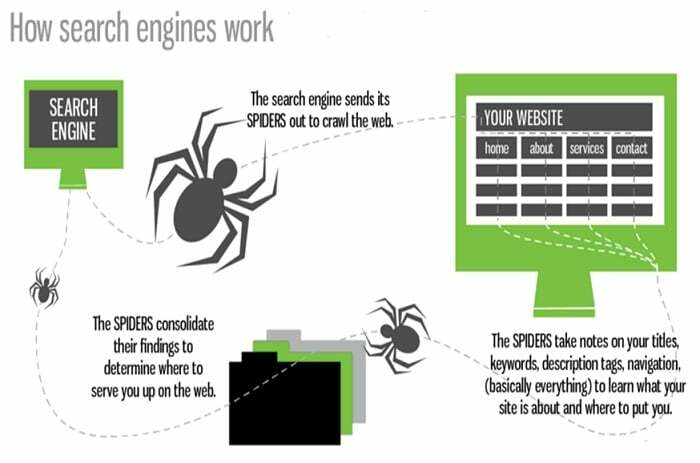 Spiders and bots are also called as web crawlers. These are computer programs that crawl the web on behalf of search engines, trying to discover new links and new pages. These crawlers help in indexing. Indexing is the search engines’ process for collecting and storing data across the web. The search engines are constantly scouring the web for updated and new pages to add to their massive databases of information. When the search engines do find new pages, they ‘index’ it, meaning they add a copy of it to their database, so that they can retrieve it during searches. Duplicate content is content that appears on the Internet in more than one place. When there are multiple pieces of identical content on the Internet, it is difficult for search engines to decide which version is more relevant to a given search query. To provide the best search experience, search engines will rarely show multiple duplicate pieces of content and thus, are forced to choose which version is most likely to be original. Web directories are collections of links which are organized by topic for the convenience of people browsing the Internet looking for information and resources. Using a web directory, Internet users can find lists of websites on related topics which complement each other. For example, someone who is interested in Blogging could use a web directory to find resources organized by type, such as Blogging tips, SEO, and blogging platform etc. ‘Above the fold” is the point on your website which the user sees without scrolling the browser window. Search engines place some priority on content above the fold since it will be seen right away by new visitors. Having too many ads above the fold can be seen as a negative issue, too. A link from one site into another. A link from another site will improve your SEO, especially if that site has a high PageRank. A link from one page to another on the same website, such as from your homepage to your products page. Interlinking your posts and pages can help in decreasing the bounce rate of your blog. It is also one of most important SEO terms. Bounce Rate tells what percentage of your visitors visit your blog but leave without going through your content or traversing other pages of your blog (i.e. they are just visiting the landing page, and leave your site without opening the second page of your site). For example, if your site received 3, 00,000 visits in one month, out of which 1,50,000 bounced after visiting just one page, your bounce rate for that month would be 1,50,000 divided by 3,00,000, which equals to 0.50 (or 50%). Google’s Hummingbird algorithm change has put Long Tail Keyword high up on your SEO practices. Long tail keywords usually contain more than three words and include specific words that users can use to fulfill their needs. Hummingbird changed the way search actually looks at keywords and phrases. Instead of picking apart the keywords within a phrase, it now understands entire questions or sentences within context. Broken Link is a hyperlink which is not functioning or a link that does not lead to the desired location. Most websites have some broken links, but if there are too many it can indicate poor content, poor upkeep of the site or both. Too many broken links may cause search engines to rank a page as being less relevant. A piece of information sent by an internet user when they navigate to your website from somewhere else on the internet. It includes information on where they came from previously, which helps webmasters understand how users are finding their website. In SEO, a landing page is a website page that search engine users come to after clicking on an organic link. Creating persuasive, informative landing pages for strategically important keywords greatly improves lead generation. All your Landing Pages should be optimized to maximize Conversions. A sitemap is a document created by a webmaster or a piece of software that provides a map of all the pages on a website to make it easier for a search engine to index that website. Search engines recommend specific sitemap attributes to enable it to better understand and rank a website. A properly structured sitemap has a large role in improving search engine visibility, especially for websites with many pages. 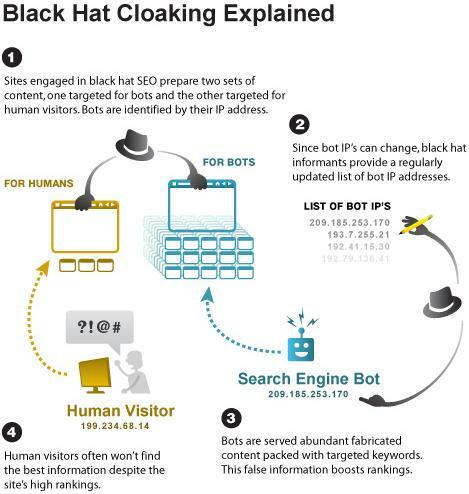 Websites sometimes get links from harmful domains or low authority or spam links. While best practices are to try and get these links removed, this is not always possible. To help website owners, Google created a disavow tool that lets webmasters tell Google that they don’t want to recognize these links. The term Search Engine Marketing refers to a broad range of activities relating to positioning a site within search engines ranks. SEM is divided into two main pillars: SEO and PPC. SEO is the practice of optimizing websites to make their pages appear in the organic search results. PPC stands for Pay-Per-Click, and it is the practice of purchasing clicks from search engines. The clicks come from sponsored listings in the search results.